We have seen the guys from Unbox Therapy experimenting with the iPad 5 Home button by placing an iPhone 5s Home button with Touch ID into the front panel opening. Their findings suggested that the iPad 5 and iPad mini 2 could come with a fingerprint sensor, and the latest component from China seems to corroborate this report. What you can see in the above image is the alleged iPad 5 Home button flex cable ribbon — obtained by CtechCN — , which reportedly carries a Touch ID, which Apple introduced with the iPhone 5s. Unfortunately, the image is too blurry to analyze the details, which also raises concerns about their authenticity. 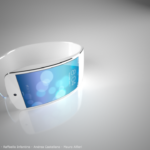 However, the part carries the identification number 821-1799-03 FM 13-16, which could indicate that this is indeed an Apple device component. 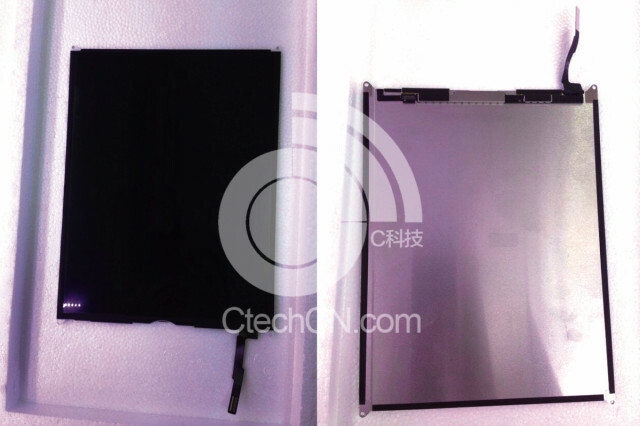 In addition to the Home button flex cable ribbon leak, the same CtechCN has also obtained images of the iPad 5 LCD (see above) which, until other sources confirm it, remains an unverified leak. So, in the end, we don’t know for sure that Touch ID is coming to the iPad 5 or the iPad mini 2, but since Apple is widely expected to unveil its next-generation tablets later this month, we will soon find out.